Happy New Year from all of us at MAD-Aid! 2016 has been a challenging year globally, and for us too. Despite the challenges, we’ve carried on Making a Difference to the people in Moldova that we support. We sent three trucks full of Aid and delivered their contents to the local hospital in Riscani, to disabled people in the North of Moldova, to the Mother and Child Hospital, Care Home in Riscani, and to other vulnerable people in the community. The Phoenix Centre has continued to transform the lives of the children who use it. They are becoming personalities, full of life, having fun and making friends. For the first time in their lives they have been out on a variety of excursions, from a trip to the local swimming bath to a visit to a Pizza restaurant. 34 children have benefitted from Phoenix, through over 1800 visits. They receive education, activities, transport to and from home, food, love and care. Thanks to our Partners and the local community, each child received 7 Christmas presents. They have lived in isolation for so long, we’re pleased to have facilitated this for them. We also opened the Phoenix Centre inclusive playground, the first of its type in the Country, which has a range of disability-friendly play options. The Early Intervention and Rehabilitation Centre has provided therapies for 120 children in nearly 1300 therapy sessions. The therapy treatments were tailored to the needs of each child and therefore varied in length and complexity. 26 children have been assessed by a British orthopaedic specialist, Dr Bassel El-Osta, who donated his time and funded his own travel to help these children. Eight of them have surgery programmed for April 2017 with Doctor El-Osta alongside a Moldovan surgical team. Other children were sent for further investigation, and some have had therapy specially tailored for them, to be given at the Early Intervention Centre. We have set up a Volunteer Programme to help the centre run more effectively. In partnership with other organisations, we have sent aid to Romania, Africa and Ukraine. We also assisted the Communication Workers Humanitarian Aid (CWUHA) in sending 2 humanitarian aid convoys to Moldova, a total of 12 trucks. Last but not least, we created a new partnership with Dent Aid. From 2017, they will work in Moldova providing dental equipment, training and volunteers. MAD-Aid’s 2017 started with sad news and great news. 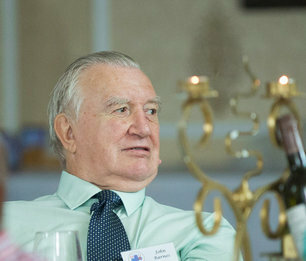 One of our founding trustees, our Treasurer John Barnes, passed away on New Year’s Day. John was at the heart of the charity, always professional, fun to be with, helpful and determined. We will miss him hugely and it will be hard to learn to go on without him. He was with us at our last Trustee meeting in November 2016, and throughout our development to date, he had kept our accounts meticulously. John visited Moldova for our opening in 2015, and intended to return. We will remember his contribution to MAD-Aid with huge gratitude and appreciation, and we are very sad to lose him. 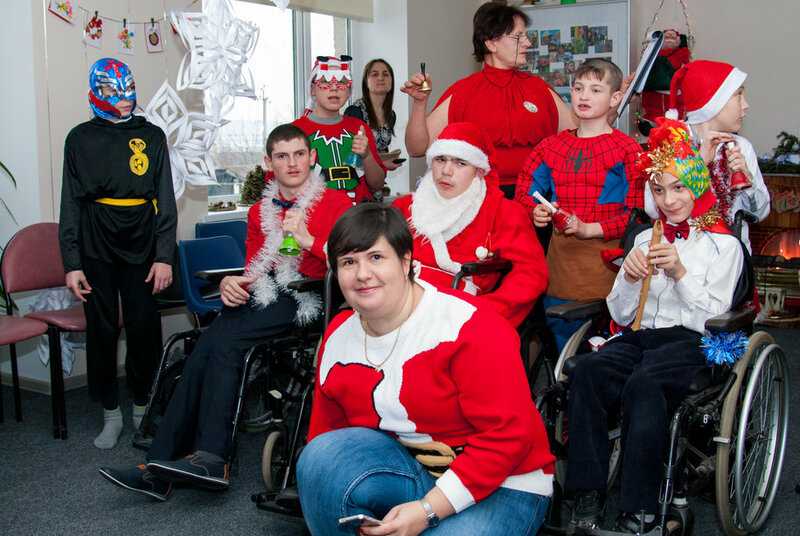 Our exciting news is that our founder, Victoria Dunford has been nominated for a British Empire Medal in the Queen’s New Year’s Honours List for services to children with disabilities in northern Moldova. This is a huge honour for MAD-Aid and reflects the work and support of all of you. Thank you for being with us during 2016. We hope to inspire you to stay for many years to come. Wishing you a happy, healthy and fulfilling year ahead.